How does one young man survive the deaths of his entire family and manage to make something worthwhile of his life? 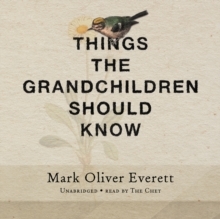 In Things The Grandchildren Should Know Mark Oliver Everett tells the story of what it's like to grow up the insecure son of a genius in a wacky Virginia Ice Storm-like family. 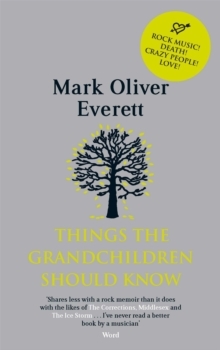 Left to run wild with his sister, his father off in some parallel universe of his own invention, Everett's upbringing was 'ridiculous, sometimes tragic and always unsteady'. But somehow he manages to not only survive his crazy upbringing and ensuing tragedies; he makes something of his life, striking out on a journey to find himself by channelling his experiences into his, eventually, critically acclaimed music with the Eels. But it's not an easy path. Told with surprising candour, Things The Grandchildren Should Know is an inspiring and remarkable story, full of hope, humour and wry wisdom.